Today I want to share something I did to remove the CPU heat spreader, the copper plate that is glued on top of the CPU die on most common computer processor units. 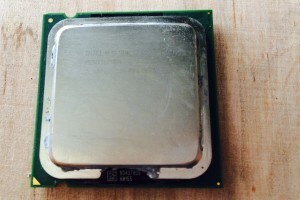 With this Pentium CPU i went and place it on my metalworking vice. The position is the most important step to make this work. Positioning the CPU so that one side of the vice touches the fiberglass material, and the other side touches the copper plate. Then you go ahead and start closing the vice, putting presure on the copper plate and the cpu fiber glass body. This will push on the fiber glass material one way, and the copper plate the other way. This will swift or slide the copper plate to one side. This will make the heat spreader (copper plate) slide and fall off. 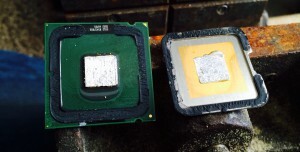 Some heat spreaders, are solder to the top of the CPU Die. You will need to turn the cpu around and push it again the other way with the vice. 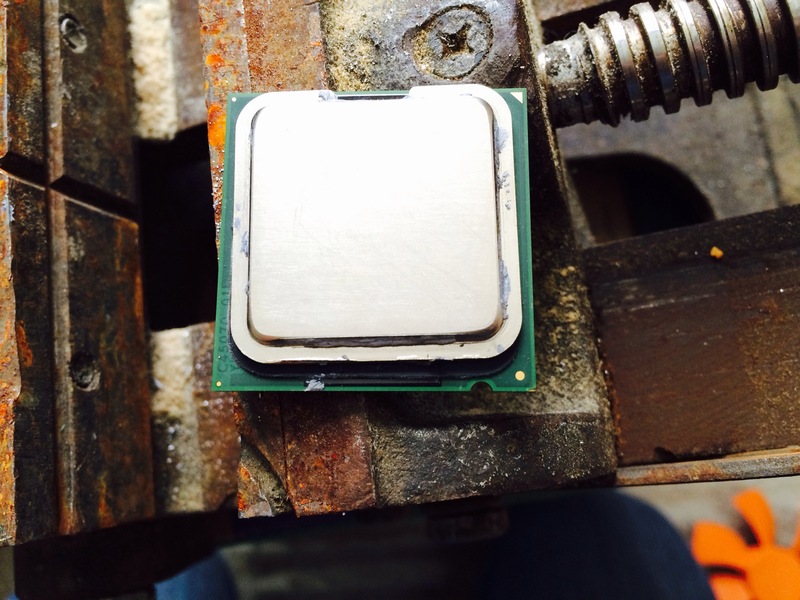 With this method, I was able to remove head spreaders from several CPU’s. including an older AMD CPU. 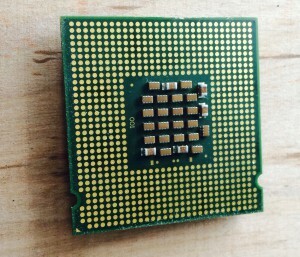 Some CPU’s have the copper plate solder to the CPU die, but they too get removed. I don’t know if the CPU survived the removal of the heat spreader. I would imagine that if I want to remove a solder heat spreader, one would heat it up before removing it, this will soften up the solder and be safer for the CPU die. 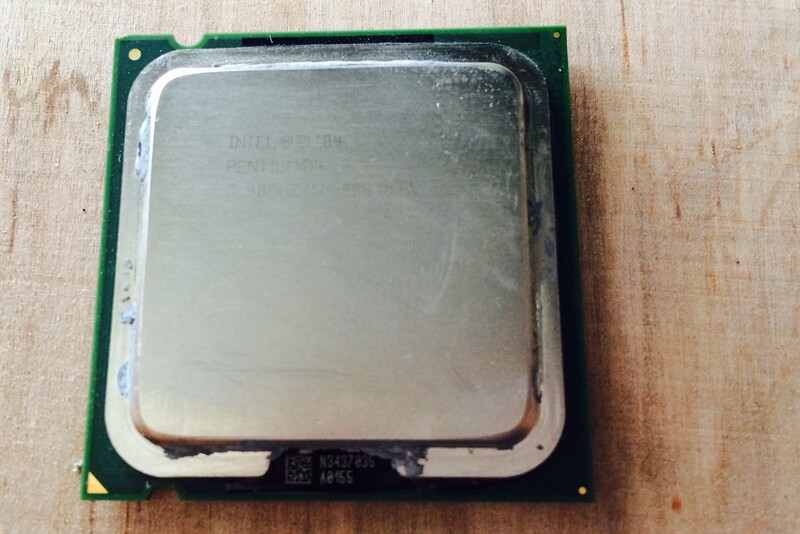 Let me know if your CPU survived the heat spreader removal.